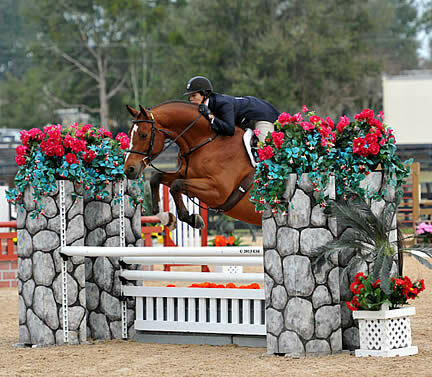 OCALA, FL (January, 20, 2013) – Between riding to first and third in today’s $5,000 Devoucoux Hunter Prix and coaching fellow rider Ellen Toon to second, Amanda Steege of Bedminster, New Jersey got the HITS Ocala Winter Circuit started on a high note. After finishing third in last year’s Diamond Mills $500,000 Hunter Prix Final, Steege has lost no momentum and has her sights set on returning to Saugerties, New York this year to again ride in the final. She piloted Tony Arena’s Majestic to the win today after a first round score of 83 was combined with the high score of the second round, an 85, for a two-round total of 168. 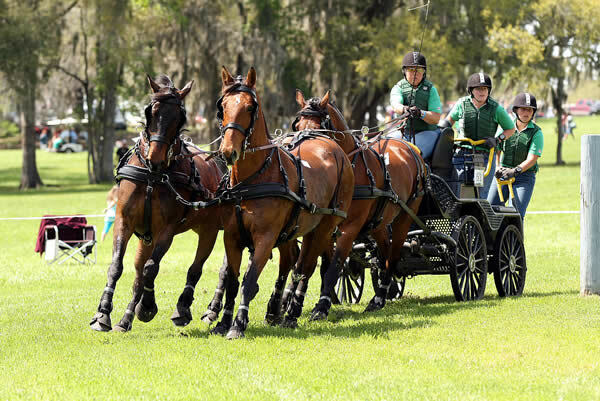 Ocala, FL (May 4, 2010) – Four-In-Hand Combined Driver Deb Laderoute, who will represent Canada in the 2010 World Equestrian Games, drove away with Arenus’s EQUILITE Performance & Conditioning Award during the recent Live Oak International Competition in Ocala, Florida. 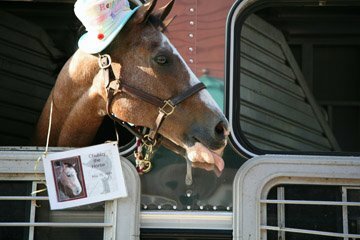 Laderoute and her team were awarded EQUILITE brand products from award sponsor Arenus, makers of animal health products and supplement blends including STEADFAST joint health, ASSURE digestive aid and SORE NO-MORE liniment.